News > Regal Academy’s magic comes to the Gradara Castle! 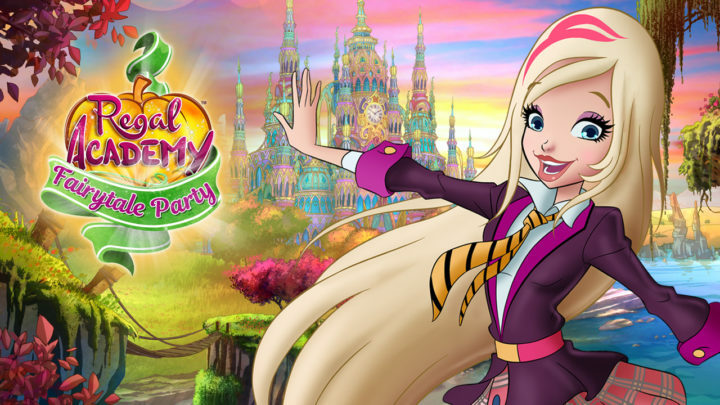 Rainbow and the Gradara Castle are proud to present the most fairy-tale event ever: the Regal Academy Fairytale Party! The medieval fortress of Gradara, in the Marche region, Italy, will transform into Regal Academy across the weekend of June 2-4. Fans will be able to enter the fabled school, take part in workshops and activities and watch live performances featuring all their favourite characters! Regal Academy follows the adventures of young Rose Cinderella, an earthly girl who one day is shocked and amazed to discover that the famous fairy tale Cinderella is actually…her granny! And that’s just the beginning, because she is also enrolled at the Regal Academy – a school run by her grandmother and a host of other fairy tale characters, who pass on their magic secrets to next generations. Her new classmates include Hawk SnowWhite, Travis Beast, Joy LeFrog, Astoria Rapunzel and LingLing Iron Fan – all grandchildren of famous fairy tale families –and together they enjoy a series of funny and exciting adventures. Series 1 has already been released in over 100 countries over the past ten months, pulling in huge viewing figures across the US, Italy, Russia, Turkey, Brazil, France and elsewhere. Series 2 is currently in an advanced production stage.